Minneapolis-St. Paul are Minnesota’s Twin Cities. They’re built around the Mississippi River and known for their cold winters. Minneapolis is home to the longest continuous skyway system anywhere in the world. This indoor pedestrian walkway protects you from the cold, spans 69 blocks, and links lots of the buildings in Minneapolis’ downtown area. Minneapolis isn’t necessarily the first city you think of when you think about visiting the US, but it could make for a good stopover during a visit to nearby Chicago. Plus, because it’s one of the Twin Cities, you get to visit two cities for the price of one. Here’s how to spend a weekend in Minneapolis and St. Paul. I don’t think there’s a better way to explore a new city than with a walking tour. You get to see so much more on foot than you otherwise would, and there are plenty of tours in Minneapolis. Choose from the Scavenger Hunt Tour, Lakewood Cemetery Tours, or a museum tour. I like the sound of some of the food tours, as they combine two of my favourite things: sightseeing and eating! I also fancy sampling the famous octopus available downtown at Sea Change. There’s plenty to see and do in Minneapolis, including 55 museums, which is quite a lot for a city that’s just 150 years old. 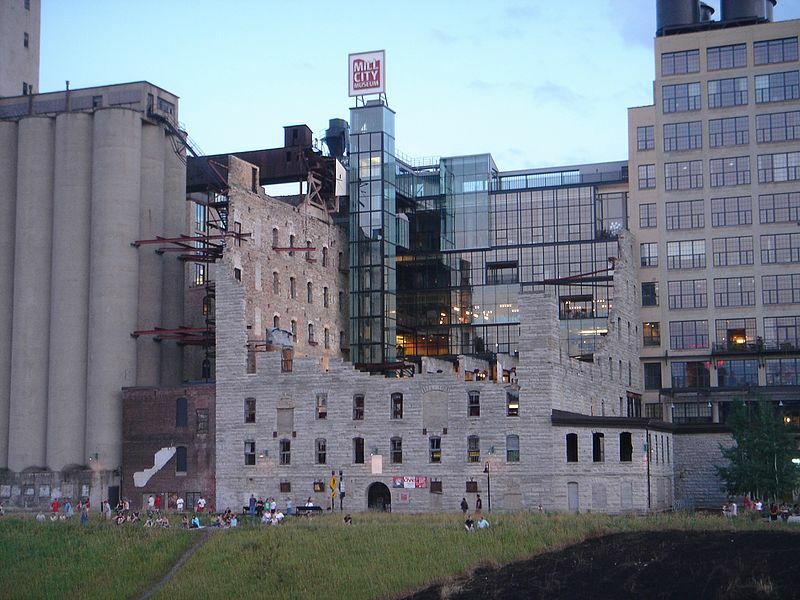 Mill City Museum is dubbed “the most explosive museum in the world” and is carved from the ruins of the world’s largest flour mill. Suitable for all ages, this museum teaches you about the intertwined histories of the flour industry, the river, and the city of Minneapolis. There’s also the Walker Arts Center, home to visual, performing, and media arts. It’s regarded as a national leader in the art world due to its innovative approaches to audience engagement. Minneapolis has plenty to keep you busy after hours, including several nightclubs and lounge bars. Rev Ultra Lounge looks pretty awesome. Described as subtle, sophisticated, and elegant, this spot offers table and VIP services. A weekend isn’t a weekend without a brunch, and this is definitely the best meal to help you recover from a late night. I like the sound of Buttered Tin in Lowertown St. Paul. Apparently the Buttered Tin Hash with house-made pastrami, potatoes, kale, squash, and egg is to die for. If you’re looking to visit the Hennepin Avenue Theatre District, the Mill City Museum, and the Walker Arts Center, then downtown is the area for you. Loring Park also lies on the southern edge of downtown, and it’s perfect for evening walks and morning jogs, if you’re looking to keep fit during your visit. There’s an abundance of great hotels in this area, so you’ll be spoilt for choice. As always with America, the hotel standards are of the highest quality. I like the look of The Grand Hotel because of its excellent location and boutique style. With all this going on in the city of Minneapolis, it looks like I’ll be adding this city to my USA bucket list.